Matchday parking is not available on site. Gardaí recommend that people walk the 15 minutes to the ground from the City Centre where possible. The Garda recommended drop off point is near Páirc Uí Rinn on Boreenmanna Road which is a 5 minute walk to the stadium. Route 215 or 219 stops at the Churchyard Lane stop which is10 minutes to the stadium. There is no parking available onsite on Match Day. Gardai will operate a cordon near the stadium and local estates will be barriered to stop patrons from parking in front of neighbours houses. 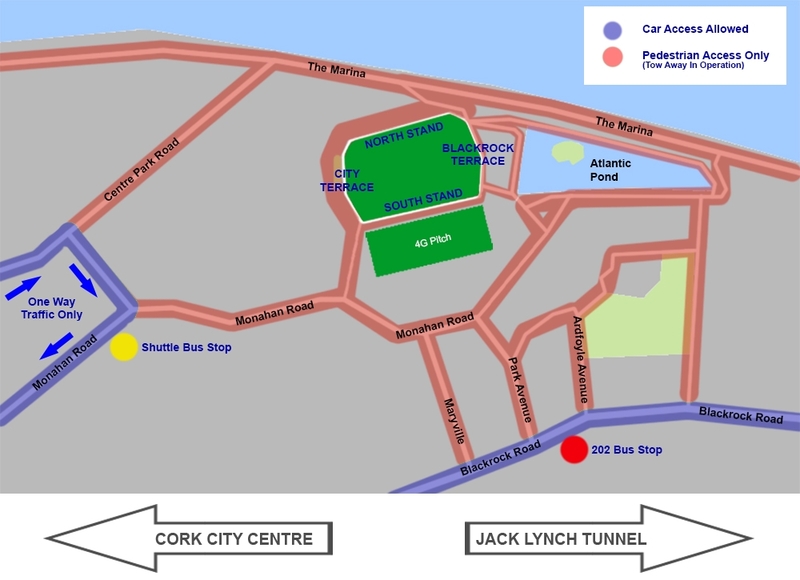 Q-Park operate a number of Car Parks in Cork City. Special offers are available in specified car parks for customers who prebook their parking online. You then have the choice to either walk (15 minutes) or take public transport to the stadium. Click on the link below & select a car park (choose from City Hall, Carroll’s Quay, St. Finbarr’s or Grand Parade). Choose from one of 2 options created specially for those attending matches in Páirc Uí Chaoimh. 24 hours – €9 – arrive at any time on match dates. 3. Proceed to payment & You will then receive confirmation of your parking. 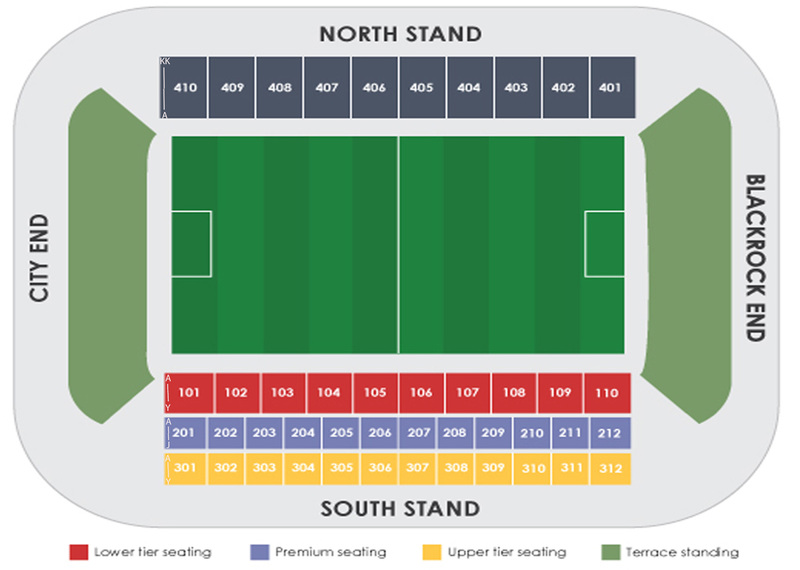 There are 15 parking spaces available on site for wheelchair users on a matchday. This is the only onsite parking available as approved by the Fire Officer. Specific Wheelchair permits need to be requested in writing from Cork County Board. Please contact (021) 4963311 or send a letter of request to Cork GAA, Mainport, Monahan Road, Cork City.